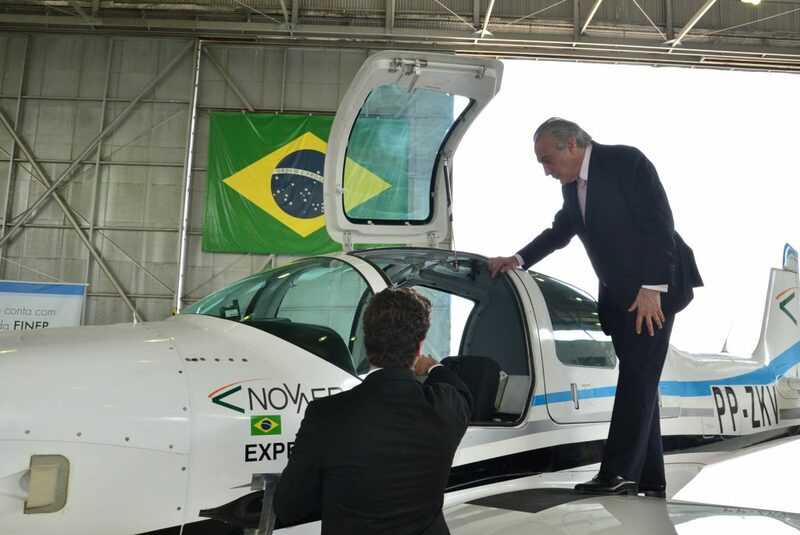 Novaer is proud to inform that it has received this Tuesday, 28th of August, the illustrious visit of Vice-President the Republic, Mr. Michel Temer. At that time, the company had the chance to present the prototype of the T-Xc aircraft at the military hangar of the DCTA. The visit received this afternoon crowns the initiative of the Ministry of Science Technology and Innovation which, through FINEP, has honored its commitment to foster entrepreneurship by giving Novaer, over the past four years, features of economic subsidy, allowing the Brazilian company to develop an aircraft using some of the most modern materials and processes in the world, including fully carbon fiber primary and secondary structures. It also reinforces the importance of the initiative of the State of Santa Catarina that, in 2012, believed in the potential of the project, associating themselves with the company through its partnership entity, SC Investments and Partnerships – SCPar. Novaer intends to offer the product to the Defense market, as a primary-basic military trainer, and to the civilian market, with a four place utility (transport) version and instruction for flight schools. 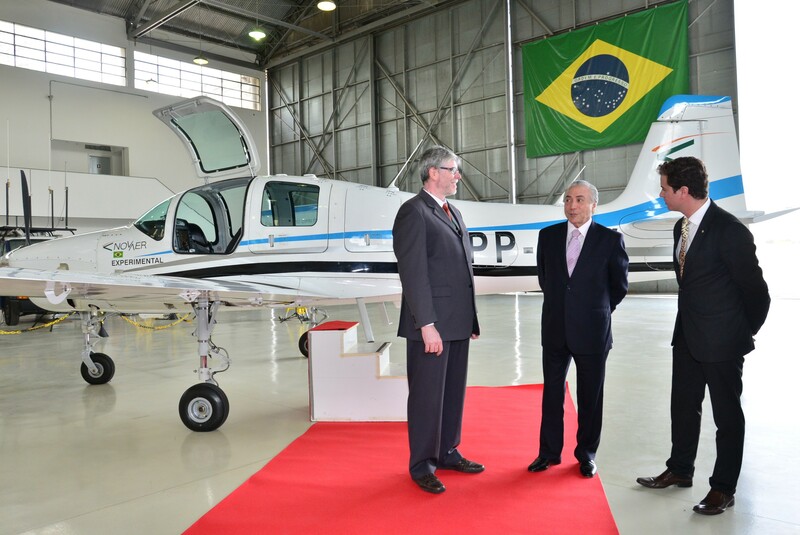 According to the the company CEO, Graciliano Campos, the next steps are the certification and industrialization of the aircraft.